Leopards, panthers and tigers; oh my! 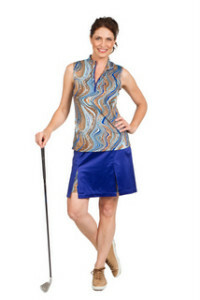 It doesn’t matter what age or size, women must wear animal prints on and off the course. It not only looks sensational but these prints brings out the feline prowess. Let that animal instinct come out on the course and wear an animal print. Simply purr-fect!